I honestly want to win”FOREVER” Prize,$1 Million SuperPrize and more prizes,plus $5,000.00 special Bonus cash Prize. I would love to drive a Brand New Ford Fusion! I have located the $1,000.00 Tampa Bay Major Prize Winner Gwy. No. 5035. God Bless You. 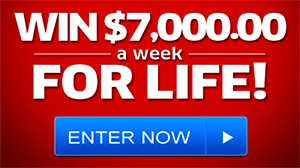 I ready to win $7,000.00 a week for Life plus I want to enter for the Instant prices @ 11:00 o’clock!!! Hope to win it all ! CLAIMING, CONFIRMING ENTRY THAT THE PCH IS LOOKING TO AWARD A WINNER WITH $5,000.00 A WEEK “FOREVER”PRIZE. I, GLENN MAKUCH, OF SPRING HILL, FLORIDA, I DO WANT TO BE THE NEXT PUBLISHERS CLEARING HOUSE SUPERPRIZE (R) WINNER, WHO PUBLISHERS CLEARING HOUSE HAS BEEN LOOKING FOR A “BIG WINNER” ON AUGUST 31ST, 2015. GLENN MAKUCH IS GETTING IN HIS TIMELY ENTRY IN NOW! PLUS, GLENN MAKUCH, IS IN IT TO WIN IT AND I DO WANT TO BE THE NEXT MAKING MULTI-MILLIONAIRE!!! PLUS, I DO WANT TO WIN GIVEAWAY NO. 4950 FOR A WONDERFUL HUGE SUPERPRIZE(R) $ 1,000,000.00 ON AUG.31ST., GLENN MAKUCH HAS BEEN IN IT TO WIN IT!!! “THANK YOU VERY MUCH PUBLISHERS CLEARING HOUSE FOR MAKING DREAMS COME TRUE”!!! 101 WINNERS CIRCLE PORT WASHINGTON, NY 11050. GIVEAWAY NO. 4900 ON AUGUST 31ST, 2015. PUBLISHERS CLEARING HOUSE PRIZE PATROL ELITE TEAM!!! PLUS, WIN GIVEAWAY NO. 4950 FOR $1,000,000.00 ON AUGUST 31ST. THANK YOU VERY MUCH PCH PRIZE PATROL ELITE TEAM!!! Yes PCH Staff Prize Patrol Claiming my entry and my prize number to be entered and locked in the winning in the Special Early Look for a Superprize Winner from Giveaway No.4900 of $5.000.00 a week “Forever”. Yes I want be be on the winner selection list on August 31st 2015.This is so exciting. I truely want to win . 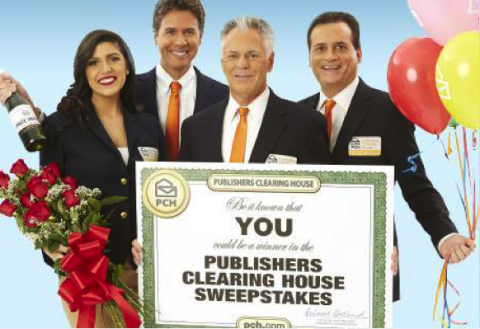 I can’t wait to meet you all when Publishers Clearing House Prize Patrol can knock on the door on my house. Deborah Holland I will Gladly accept this opportunity today to win the Superprize$5,000.00 a week “FOREVER” on August 31ST GWY #4900 $5,000.00 a week for Life and that those same payments would continue to a Beneficiary of my choice. I accept Ownership of the Prize number that is being offered today and all rights that may become associated with it. Thank You!!! Thanks again PCH for your consideration!!! WE ALL WANT TO WIN , BUT WE WILL SEE . I WANT TO WIN JUST LIKE YOU , BUT WE STILL HAVE IT GOOD. WHERE IN THE WORLD WOULD WE HAVE THIS CHANCE TO WIN & CHANGE ARE LIFE FOREVER. I THANK & AM VERY HAPPY THAT PCH HAS GIVEN YOU & ME THIS CHANCE. BUT I HOPE I WIN , IF NOT WELL I HAD FUN TRYING. BUT WE WILL HAVE TO SEE, it is not over we all have a few days TO ENTER & I AM ENTERING AS MUCH AS A CAN GOOD LUCK TO ALL ME MUCH MUCH MORE !!!! I now CLAIM, the PCH August 31st “FOREVER” Prize delivery by PCH Prize Patrol Elites as selected by the Publishers Clearing House Board of Judges to deliver to my residence in the Atlanta Local TV Area,$1,000.00, Gwy.No.5035. It will be the joy of a sincere individual to receive the blessings of God in a timely manner, to refrain foreclosure and other outstanding financial hardships. There is never a day I do not pray for my Country and desires of companies and staff members to make the spiritual blessings in receipt of God’s response to the “Blessings at hand”. I continue to pray, for the PCH Prize Patrol Elites to knock at my door with the joys of my heart from God and his blessings of their protection to return home safe. “When I have troubles, I get still, quiet, pray and they fade away through God’s Blessings”. I have become the newest Local TV Winner in the Tampa Bay Area. I thank the Almighty above and the goodness of the Publishers Clearing House for this. GREETINGS PCH I WOULD LOVE TO PUT MY ENTRY IN WHICH HAS BEEN CONFIRED FOR THE AREA OF NEWPORT NEWS VA FOR 1,000.00 LOCAL TV AREA PRIZE PCH GWY#5035. Hey I search now yesss I Ee Lee would truly want to confirm my initials E. L. Win $100.00 on August 24 gwy No.3818. And plus with yours pch newly messages me that Ee, Confirm your initials by 8/24/15. This is Your Publishers Clearing House Chance to win. Officials Dispatch for: Ee Lee Milwaukee, WI. I Ee Lee yes here to confirm my initials are E. L., and I’m responding by the August 24th entry deadline. Thank you so much for no matter what just with only God Blessed for all today and now on well to you all here. Amen. Forever 5,000 Week_Voucher _w34 _Gwy_No.4900 Redeem By_8/20/15 Qualified Claim Entry Eligible For 1 Million Gwy _No 4900 Wanda Beck Mesa Airazona Yes Forever WIN August. PCH I’M CLAIMING AND ENTERING MY ENTRY TO WIN $ 5,000.00 A WEEK ” FOREVER ” ON AUGUST 31ST, GWY NO. 4900, PLUS $25,000.00 BONUS THNX PAULINE. …. Hey I search now yesss I Ee Lee and they will stop at my house on August 31 gwy No.4900. Thanks with God Blessed. Amen. Hey I search now yesss I Ee Lee should be selected the Winner $5,000.00 a week for life on August 31 gwy No.4900. And plus also yes I the Lee address will be yours pch final destination on August 31 gwy No.4900 too. And with yours PCH newly messages me that Driving Directions To 2502 W. Mitchell St Now Available! Thanks with God Blessed you all. Amen. YES YES YES PCH ACTIVATE ACTIVATE ACTIVATE PC288 WIN WIN LOCAL TV.AREA INITIALS J.N AWARD $ 1,000.00 YES CLAIM TO WIN THE DREAM HOME PLUS BRAND NEW FORD CAR PLUS DREAM VACATION PLUS DREAM LEGACY MEGA MILLIONIEMILLIONIER 31ST AUGUST YES ACTIVATE ALL THE PRIZE ELIGIBILFOR LEGACY MAKING FOR JN 03062 INITIALS THANKS. ** Weekly payments will continue for the life of the winner and after that for the life of one other person designated by the winner as the secondary recipient. *** Odds are an average of the estimated odds of winning from all 210 areas involved in this promotion (210 prizes of $1,000.00). Actual odds of winning for each area will fluctuate depending on population and response to this and other selected Bulletins. †If the Special Early Look winning number is not timely returned or ineligible, a second chance drawing will be held among timely eligible entrants to award a $1,000,000.00 SuperPrize on 8/31/15 payable in accordance with the Official Rules. PCH I’M CLAIMING AND ENTERING MY ENTRIES TO WIN $ 10,000.00 ONLINE EXCLUSIVE CASH PRIZES, GWY NO. 4142 & $5, 000.00 CASH PRIZE FOR GWY NO.5164, THNX PAULINE. ..
Today, i want to ensure my prize number is locked along with all other eligible numbers inside the PCH Winning Generator.Want to win $5,000.00 A Week “FOREVER”, SuperPrize,A Dream Home,A Brand New Car and many more Prizes!! Am i greedy? Today, i want to ensure my prize number is locked along with all other eligible numbers inside the PCH Winning Generator.I truly want to win it all! I hereby, Request a CLAIM number to be placed in the PCH GENERATOR for my Blessings of a chance to be the Winner of the August 31st, $5,000.00 A Week for Life, “FOREVER”. It is a blessing from God to have had the opportunity of comprehensive daily activity enhancing memory and be selected the WINNER. Special thanks to the Publishers Clearing House opportunity to have many Marketing companies to submit prizes from daily sales and assistance in American citizens having daily work to keep funds in homes to encourage their children the importance of honesty in buying and working to enhance daily growth in this country. I wish to thank all PCH staff who work daily for the Blessings of God to flow to those in need and share with others. My sincere thanks to the Publishers Clearing House Judges and the PCH Prize Patrol Elites for their opportunity in the Blessings of God to knock on my door and deliver God’s answer to my prayers. Most of all the protection of God in their travels and returning home safe. I ENTER & I AM IN IT TO WIN IT , IF I WIN I WILL FOR SURE DONATE TO THE AMERICAN CANCER SOCIETY . IT IS A PERSON THING THAT HAS BEEN IN MY MIND FOR YEARS & HELP OTHERS IN NEED , I CAN’T HELP ALL , BUT I CAN HELP WHAT I CAN & BUY A HOME 2 DOGS A BIG BACK YARD & A VEGGIE GARDEN !!!! We all want to win & it is a LIFE changing EVENT, I WANT I CLAIM . I, I , I . What about other people that need , need food help with things we take for granted . If I get lucky & win ,I will help others & of course my FAMILY . SO GOOD LUCK TO ALL & OF COURSE ME TO !!!! Thanks for all the feedback Publishers clearing House, what is happening in my life is totally amazing an I have you guys, all you fans thank you so very much, I will cherish winning more than pessimism! On my way to win the gateway No.4900!And may God always bless publishers clearing House. Thanks again!!! YES PCH I AM SEARCHING FROM THE PCH FRONT PAGE TODAY TO WIN $ 4749 $25,000.00 bonus cash prize$2,000.000.00, plus $10,000.00 a month win a brand new Ford Fusion worth $ 38,730, activate to win at the early look selection event, Or pch 1830,$5,000.a week for ever prize,gwy 1830, 4900, plus I million dollars gwy 1830,4950, yes win gwy 4902. $50,000 bonus cash prize win local 100.00,tv. Area initials3148, and $1,000.00 a ward.3818,activate to win on 31st august 2015,win local news extra Extra wining, thanks to the prize patrol suprises, I will wait until prize patrol suprises happen thanks. Hi! too all PCH family, OH! YES I want to WIN!WIN!WIN! my family was financially sound when I go to Heaven.plus I want nothing better then PCH PRIZE PATROL to hand deliver the BIG CHECK to me personally. Hi Pch Staff Prize Patrol I search now yesss the Prize Patrol will be deliver A Life Changing Superprize to 2502 W. Mitchell St in Milwaukee, on August 31st gwy No.4900. At the end thank you so very much and with God Blessed all well. Amen. I want to win the 5,000.00 forever sweepstake, the ford fusion, and anything else you have to enter for. I ENTER & I AM GRATE FULL FOR THE CHANCE TO HAVE THE CHANCE TO WIN , ALL CAN SAY I WANT , I CLAIM . I HOPE AND TRY FOR THE CHANCE TO WIN , THANK YOU Richard A McELheny !!!! Thank you for this Miracle of a Lifetime. YES PCH,PRIZE PATROL ELITE I AM SEARCHING FROM THE PCH FRONT PAGE TODAY, I WANT TO CLAIM AND ACCEPT AND WIN $5,000.00 A WEEK FOR EVER PRIZE ON 31ST AUGUST 2015 ,PLUS ALL BONUS CASH PRIZE AND MY TOKENS EXCHANGES ENTRIES AND MY REMAINING TOKENS PLUS MY LOYALTY BENEFITS INCLUDING THE ONLINE ACTIVITIES BULLETINS AND THE REGISTRATIONS AND I WANT MY NAME JOSEPH NSOAH ON THE BIG CHECK I WANT THE PRIZE PATROL ELITE TO HAND DELIVER THE BIG CHECK TO ME PERSONALLY WITH THE BALLOONS AND CHAMPAIGN AND THE ROSES AT MY LOCAL TV.AREA FRONT DOOR AND, THANKS FOR YOUR HELP PLEASE ACTIVATE MY ENTRY FOR MY DREAM HOME AND DREAM CAR AND MY DREAM VACATION, THANKS FOR YOUR HELP. Hey I search now yesss I Ee Lee would truly want to accept prize number win $5,000.00 a week for life on August 31 gwy No.4900. Thank you and with God Blessed you all. Amen. Hey I search now yesss I Ee Lee will becomes yours Pch next winner on August 31 gwy No.4900. And plus with yours newly messages me that Instant Winner Announcement. Til then at the end thank you so very much with God Blessed you all well on doing this pleased with peace hopes. Amen. PCH Prize Patrol Team! Thank you. yes, prize patrol deliver a brand new ford fusion valed at 38,000.00 pch gwy. no. 4650. ruby red plus the $5,000.00 a week forever from pch gwy. no. 4900 with a beneficiary after that on august 31st. i’m praying i’m the winner. thank you for this great opportunity to become a millionaire. god bless you all. The super prize millionaires ,I would be so blessed! This chance to win is what I live and breath for ,the light at the end of the tunnel I would be able to pay off some debts that have been hanging over my head for years,to buy a brand new car is something I thought would never be possible ,I’ve always live week by week check by check and I’ve always work,please P.C .H . Yes prize patrol please deliver my big check for pch gwy 4900 $5, 000.00 a week forever and pch gwy 4650 a brand new car worth over $38, 000.00 on August 31st. Thank you pch. Be safe and God bless. P.S. Don’t forget the balloons and champagne and lets celebrate together. Dear, Publishers clearing house? This is coming from the worlds most intriging “Intriging Man in the World”!!! God bless, pch for this amazing game… After that all i an say is let the axum colide. It will fortell who will win GWY NO.4900!!! Dear, Publishers clearing house? this is to address the issue of the final steps to win the GWY giveaway NO. 4900 include me in! i am one of your loyalist fans and would hate to miss out on this opportuity at this chance to win big! thankyou once again Publishers clearing house, and may we always understand the insidious. Financial Freedom for Life!!! PCH win a $25,OOO.OO Golden Ticket Prize from PCH Gwy. No. 4749. PCH $5,000.00 a week “Forever” Gwy. No. 4900! Hope to see the Prize Patrol and the Reno TV crew at my house in NV on Aug. 31st! Also hope to get all the prizes with all my numbers and the Ford Fusion, Ford Escape, Ford F150 and Dream Home along with all the 1-2 Million etc. Thanks PCH! #1000 Major Prize to be awarded to the Tampa Bay TV Area Neighborhood which includes the Virgo family. GWY.No. 5035. Thanks. I Want To Win $5,000.00 A Week FOREVER ON AUG.31st PCH GWY 4900 plus win $50,000.00 Bonus Cash on the PCH GWY 4902 I would like to win ! PCH win a $25,OOO.OO Golden Ticket Prize from PCH Gwy. No. 4749! You could also win a $5,OOO.OO A Week “Forever” Prize from PCH Giveaway No. 49OO in our Special Early Look Prize Event! Also hope to win all the prizes with all my numbers including the Ford Fusion, Ford Escape, Ford F150 and a Dream Home etc. Thanks PCH hope to see the Prize Patrol and the Reno TV Crew at my house on Aug. 31st! 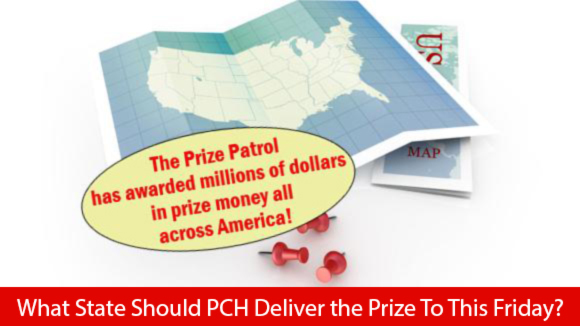 Pch claim 3×entry $1,000,00 Gwy 5990x 5989 x5987. Dear friends: thanks for this post , plase actívate and exciting the prize patrol for my PCHGWY No.4900 . 08-31-15 . WIN 5,000.00 A WEEK FOREVER PCH GWY#4900 ON AUG 31,PLUS ALL ENTRIES AND BONUSES THAT APPLIES. THANK YOU PCH,AND PLEASE PLACE MY NEW ADDRESS ON THE GPS PCH PRIZE PATROL AND EMAIL ME A NEW REGISTRY SO YOU CAN HAVE ON FILE.I BEEN NEEDING ONE SINCE JULY 3 2015 THANK YOU. It sure would be nice to get off Disability. We live on less then $16.000 a yr. Food we get is from the food pantry’s, and it’s out of date or Green. I wouldn’t wish this on anyone. I’ve been playing PCH for years and never got anything. I Play everyday all these Years and still nothing. I prey everyday for help. I need a miracle for me to Win. Hi Prize Patrol: Iam GWY # 4900 I have entered to Win Forever Prize 5,000.00 weekly Forever . Also to be able to pick someone to also win 5,000.00 forever also. This is so exciting. I truely want to win . I can’t wait to meet you all. Thank you verymuch. Im claiming my 3x times enter. I hope the prize patrol comes to Mi. with the winnings. Chang my life and my family pch.make my dream come true. Major prize winner of $1,000.00from the Tampa Bay tv area gwy. no 5035 includes greubel neighborhood. Thanks it would be nice to win!!! Hopefully you can find my home since your map won’t accept the physical address, just the po box. So I put the home address under the apt #…. Also, your map even shows you going to the wrong post office?????? I also could not get my activation code to work.pc275.Dear AliEhsan above entry from mine.I pray and hope someone who wins a boat load of money will bring your family to the U.S.Good luck! I believe I have hit the right combination in the Tampa TV Area TV $1,000 Gwy.5035. Thanks. OH MY WHAT A SPECIAL PRIZE TO WIN FOREVER, AND 25,000.00 BONUS SUPERPRIZE, PLUS WHOM EVER I WANT TO RECIEVE 5,000.00 A WEEK FOR LIFE,WELL I GUESS I WILL HAVE TO WAIT AND SEE WHO WINS, I WILL BE HOPING AND PRAYING, THAT I WIN, GOD BLESS YOU AND ME, HAVE A BLESSED DAY. 6/30 prizes needed now 8/31 is too far away. I’ll be assigned a Prize Number for Publishers Clearing House Giveaway #49OO get $5,OOO.OO A Week “Forever.plus $25,000.00 Cash Prize PCH GWY no.4902 and additional Super Prize $1,000,000.00 by GWY no.4950 .Thank for all PCH officer’s. I’ll be assigned a Prize Number for Publishers Clearing House Giveaway #49OO get $5,OOO.OO A Week “Forever.plus $25,000.00 Cash Prize and additional Super Prize $1,000,000.00 by GWY no.4950 .Thank for all PCH officer’s. I was hoping Prize Patrol and the Reno TV crew would be here today “WIN IT ALL” $2 Million + $10,000.00 a month for life + Lincoln MKZ Gwy. No. 4900! I was hoping you all would be at my house today! I am claiming my 5X entries for today. I plan on meeting prize @ my house tomorrow as I finish my drive for across state , be there prize patrol ; yes !! Hey there Pch Staff teams I here search today yesss I Ee Lee name will be on file on August 31 gwy No.4900 and plus with the important instruction W27 July 2015 notice number W27-15 win $5,000.00 a week “forever” prize on August 31st gwy No.4900 for entry deadline Thursday, July 2nd W27 July 2015. Plus with the deadline for August 31st $5,000.00 a week “forever” prize event entry from notice number W27. Til then, thanks for everything and pleased helps me enter everything that I need and have to so that I can win please….. Love me. I’m claiming for win $5,000.00 a week forever Simply continue and complete mi entry by PCH GWY no. 4900 on 31th August deadline. When Publishers Clearing House Prize Patrol can knock on the door on my house. PCH Prize Patrol Team, I am hoping and praying that my Golden ticket W25-101 is the winning number to Win it All for the JUNE 30,2015 Superprize #4900 I keep trying tokeep up with all of your emails each day and would love to be rewarded with a big check for a Financial Freedom life that I could have for my family and also be able to help others in my family that are struggling also. Seems the older you get the more expensive it is to keep on going each day,something else comes along that needs paying. Let me be the Lucky one this month to Win!!!!!!!!!!!!!!!!! PCH SweepStakes Entry! From PCH GWY.NO. 5035! 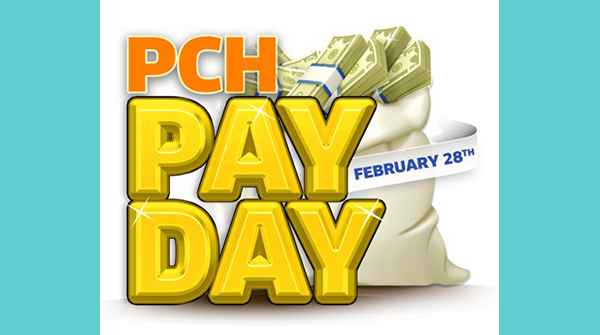 PCH-WIN $1,000.00 Tampa Bay TV Area Prize Up For Grabs! D.M. 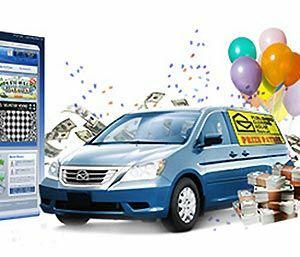 Dade City, FLA.
Publishers Clearing House – I have located the Super-Prize Win for a happy and lucky close. Would you please credit me accordingly. Thanks Sirs. Hey Pch Staff I Ee Lee would love to be in the next 10 winners list on August 31 gwy No.4900 please…. Til then thanks…… Love me. It will be the ultimate blessing of GOD for the PRIZE PATROL to be making a journey to President OBAMA’s hometown “Chicago, Illinos”..the south eastside around corner from the REGAL THEATER. To BLESS ME and my Famiy for continuing to do GOD’s will…caring for others who could not care themselves. I lost my MOM, my BROTHER, and my FATHER. I am blessed to have a place of shelter for people in time of need. Thank you PCH. I will continue doing GOD’s will and reaching out to people in need. When is the absolute final drawing for 10,000 a week for life. These contests go on for 5 years straight. Why don’t you tell the truth about when the final drawing is rather than lying about it. You fail to mention that the date of the prize patrol delivery really is not the final date but a “sneak preview.” MAybe lying is your marketing strategy. But you should be totally honest about when the FINAL date is as to not lead people on. I am praying for a financial windfall! I know all things are possible and I’m trusting God for all things. With so many people to help it would be such a blessing to win! Hey I here search&win yesss I Ee Lee would love to win and will break the bank on June 30 gwy No.4900 please….. Til then, love me. Thanks. I AM IN IN IT WIN IT ALL , I EVEN GOT YOUR DOOR BELL THAT HAS 48 DIFFERENT CHIMES JUST FOR THE PRIZE PATROL SO THEY DON;T HAVE TO KNOCK ON ARE DOOR ON 6/30/2015/. YOU CAN PICK THE CHIME & I WILL NEVER CHANGE IT. EVEN IN ARE NEW HOME, WITH 2 DOGS A BIG BACK YARD & A VEGGIE GARDEN !!!! Hey I here to search I Ee Lee yesss would love to win golden ticket on June 30 gwy No.4900. Til then, thanks a lot very much. Loves you all. I am so ready to win the $10K/week for life. I run a non-profit animal rescue and I will be able to help so many more animals with the prize money….LET’S DO THIS!! Blessings! 2)Pch “Forever” prize opportunity, and 3)Exiciting offer….. By the way til then thanks a lot very much for loving us all. I just want to make people smile everywhere I do my best to already but it would help if I won you all will see thank you again pch for given me my dream you all take care. Hey Pch Staff I Ee Lee here to asking “am I Ee Lee win the Pch Prize Patrol gwy No.4900 and plus gwy No.4650 at all even once in a life time” please….. Thanks….. Lovely. PCH Prize Patrol, just bring me that big check on June 30. 2015. I hope that I am the next PCH Millionaire this June. Yours sincerely & your 2% supersearcher is now available, and responding back to you on this website. Thanks for the supersearcher reward. Yes, I want to win it all plus more, because I am in it to win, (smile) “Well if you are not in it you can not win, So I am in it to win it all. I would like to activate my super searcher’s reward entry with Publisher’s Clearing House Number 4900 and win $1,000.000.00. I would like to activate my super searcher’s reward entry with Publisher Clearing House Giveaway Number 4900 and win $1,000.00.00.